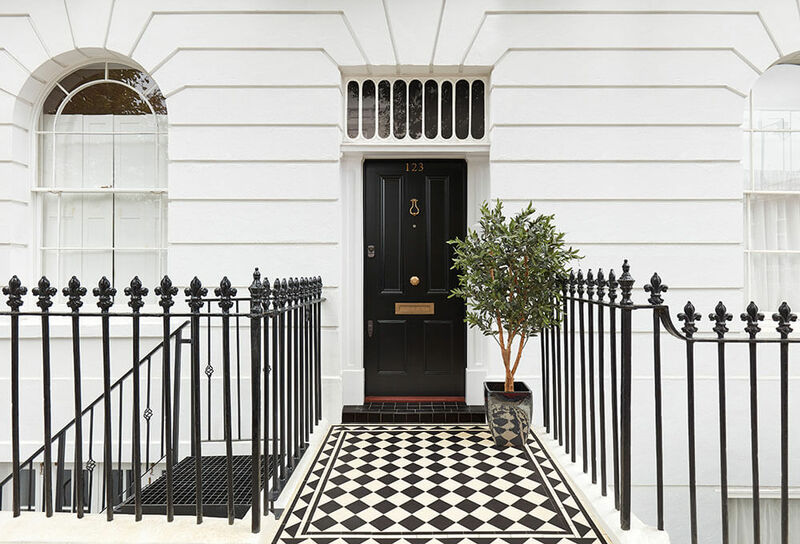 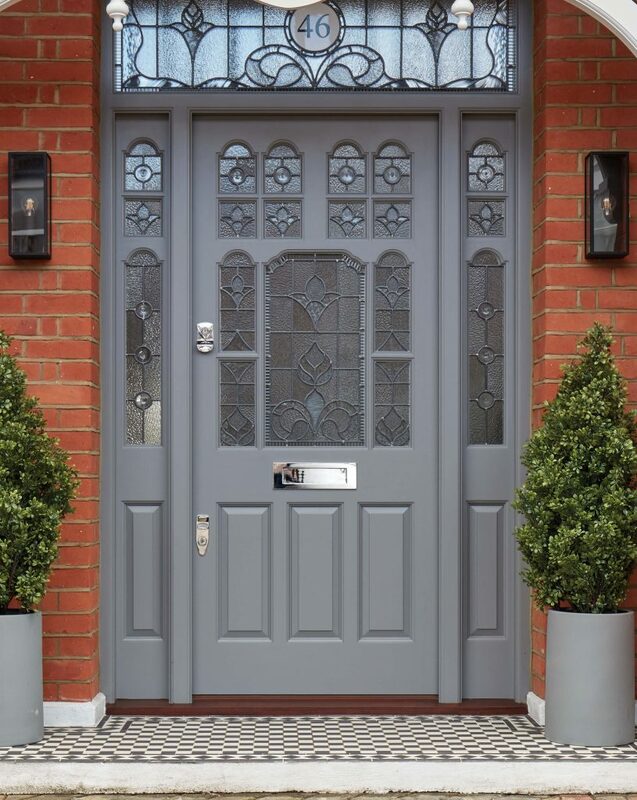 Stately-looking Contemporary door design with fanlight and distinctive chrome door furniture. 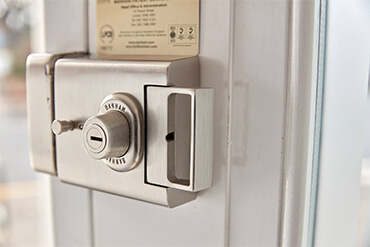 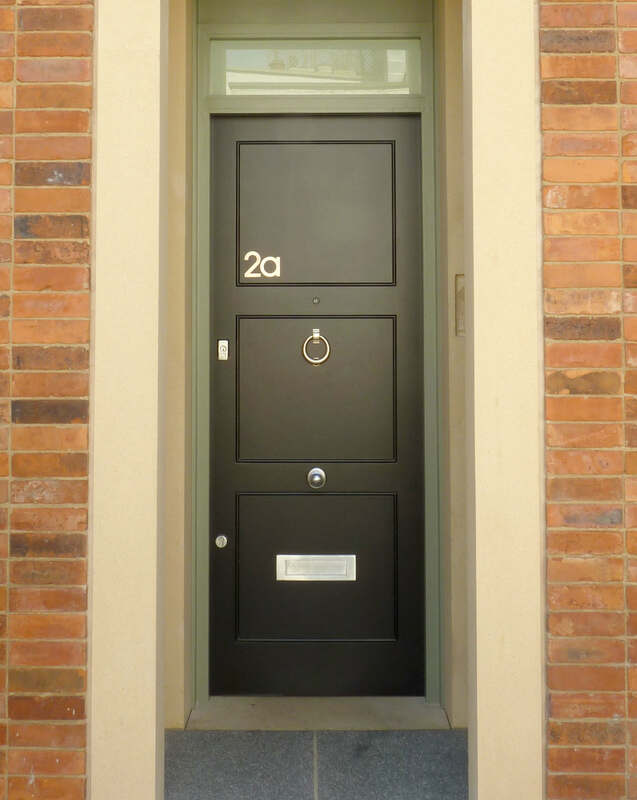 Being installed snugly into a recess won’t stop the entrance to number 2a from getting noticed. 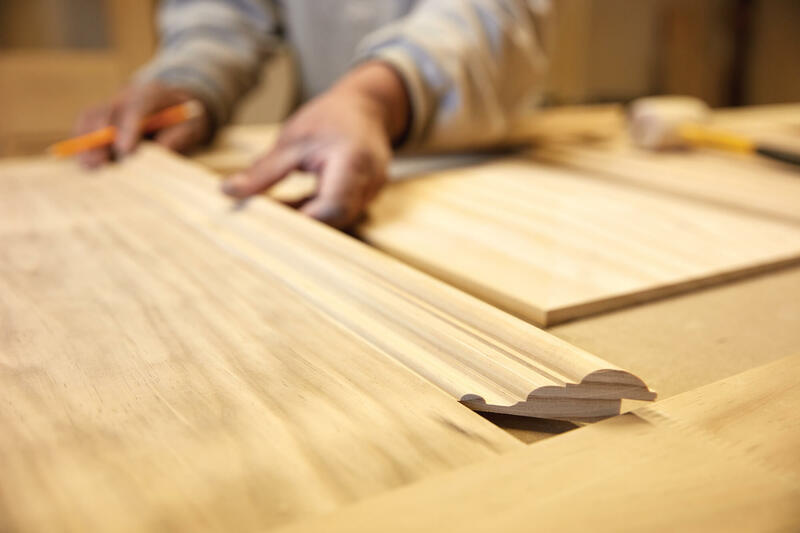 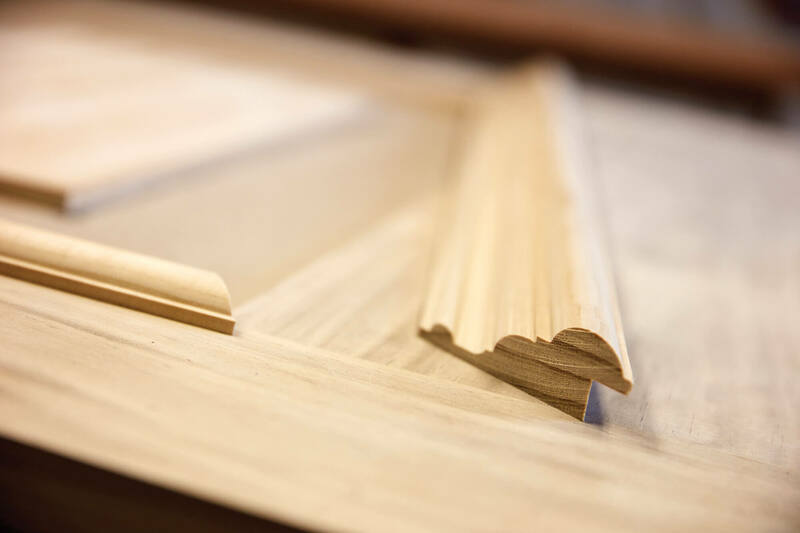 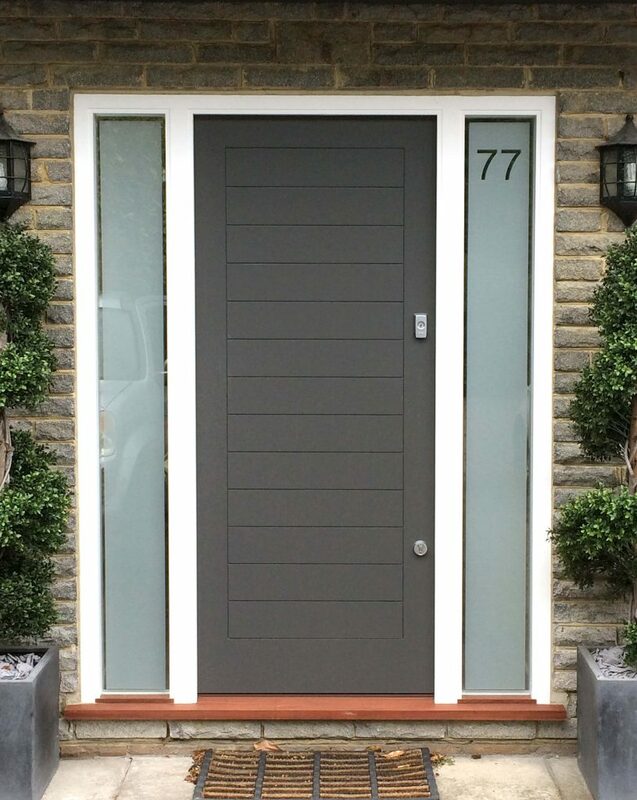 Elegant and sleek, this handcrafted door has a dark, matte finish and a colour tone frame. 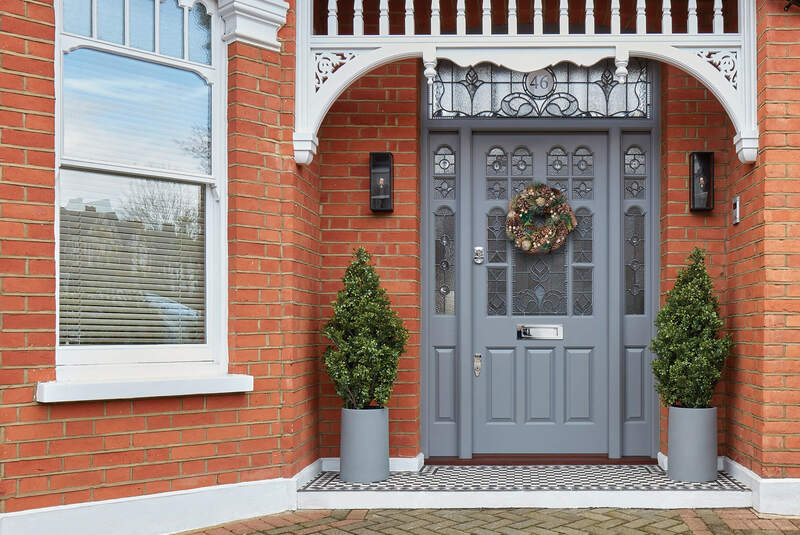 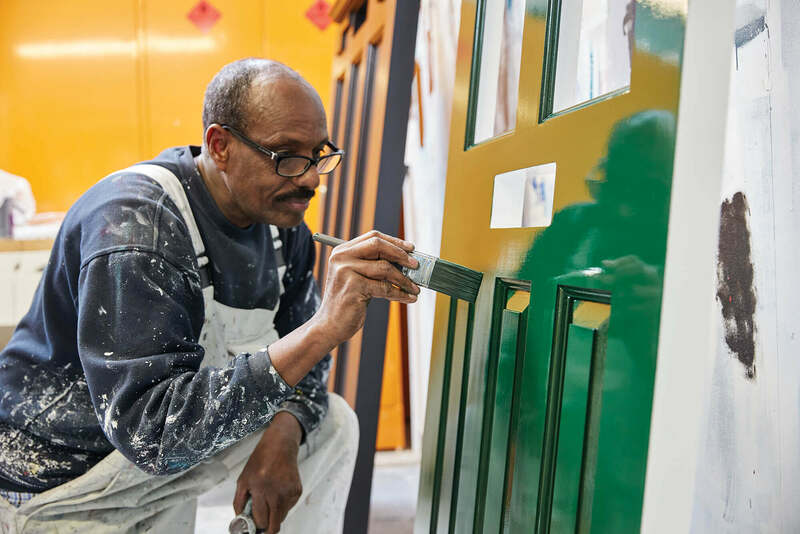 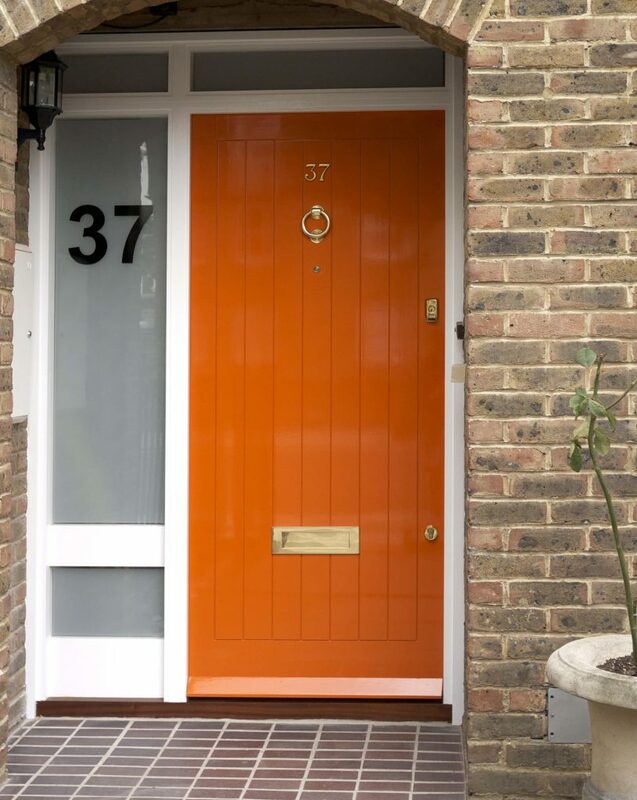 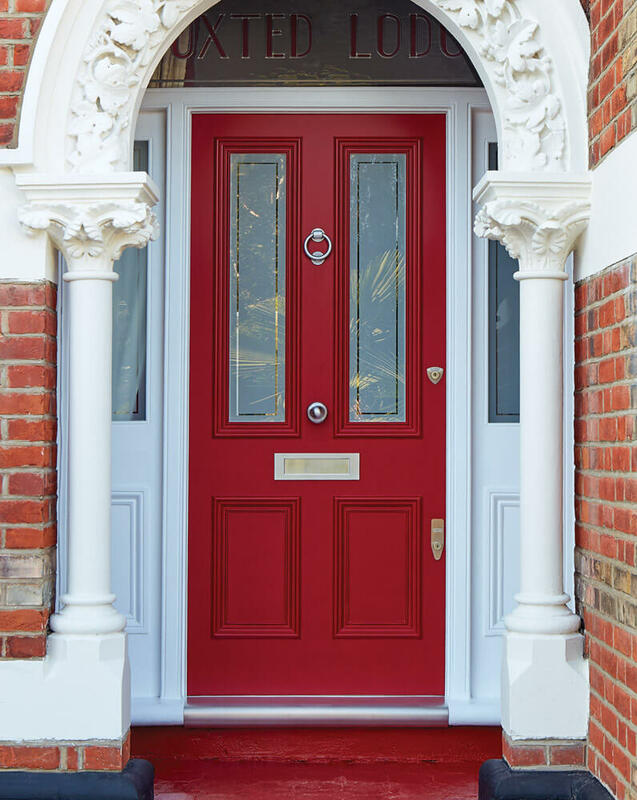 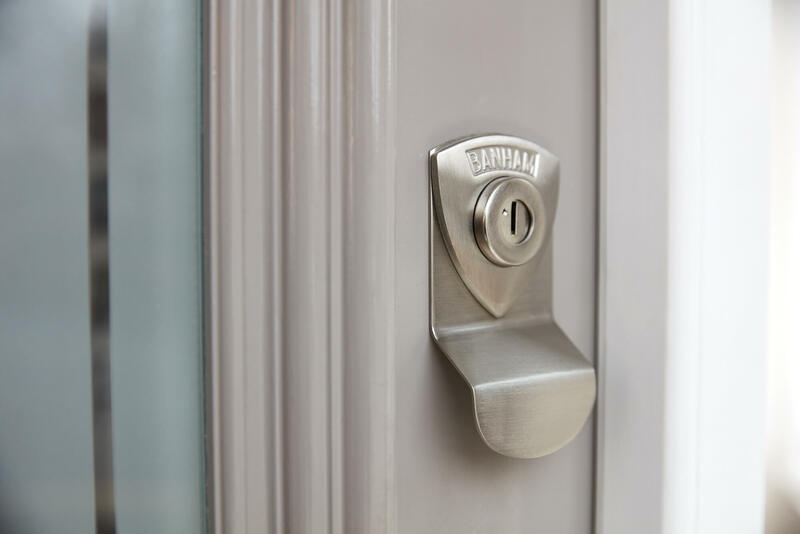 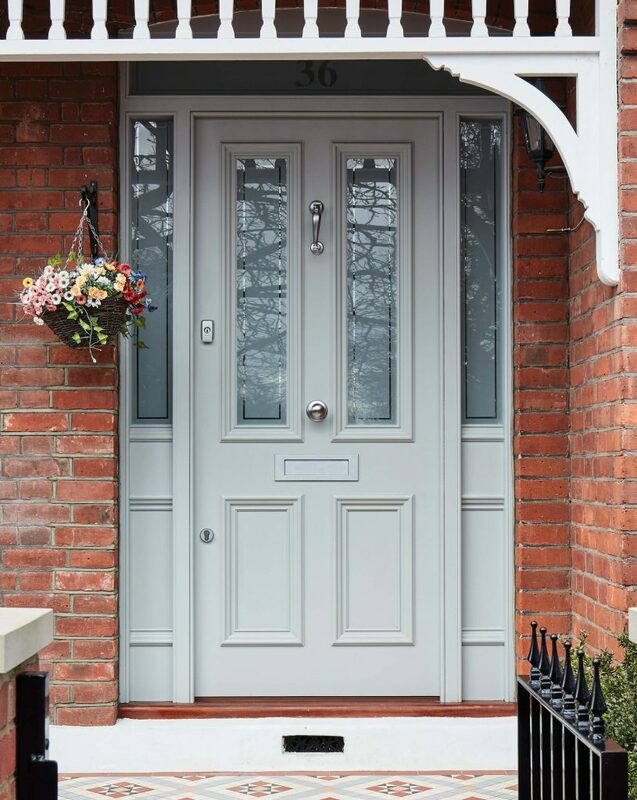 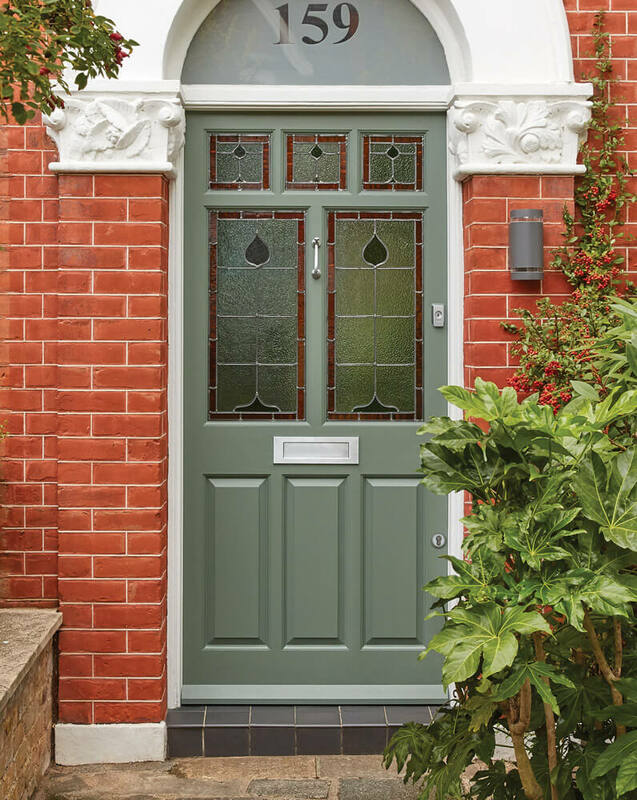 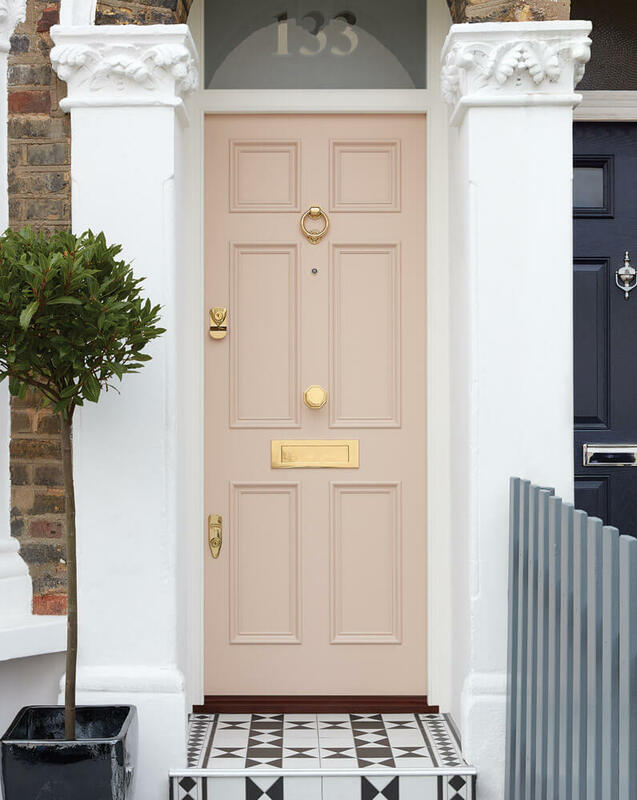 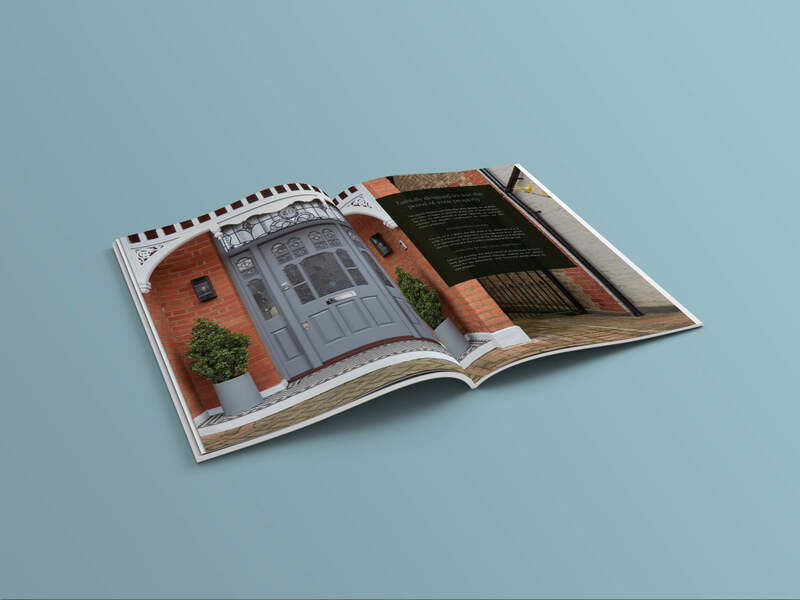 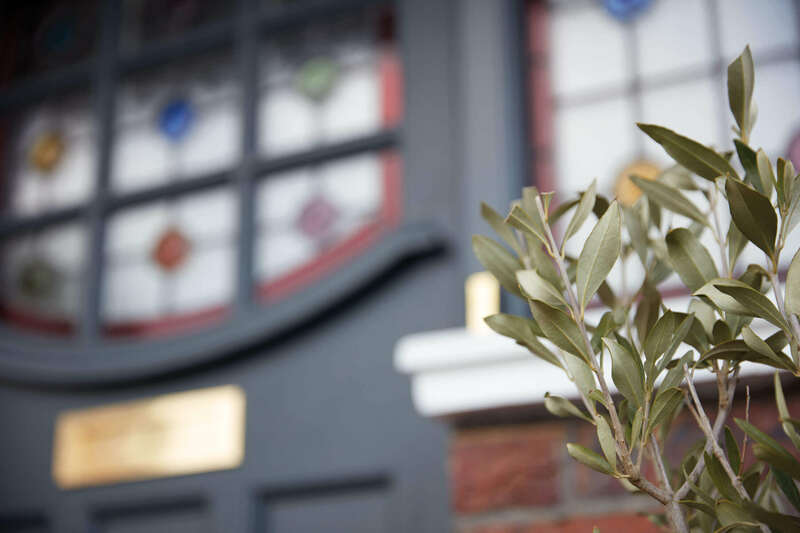 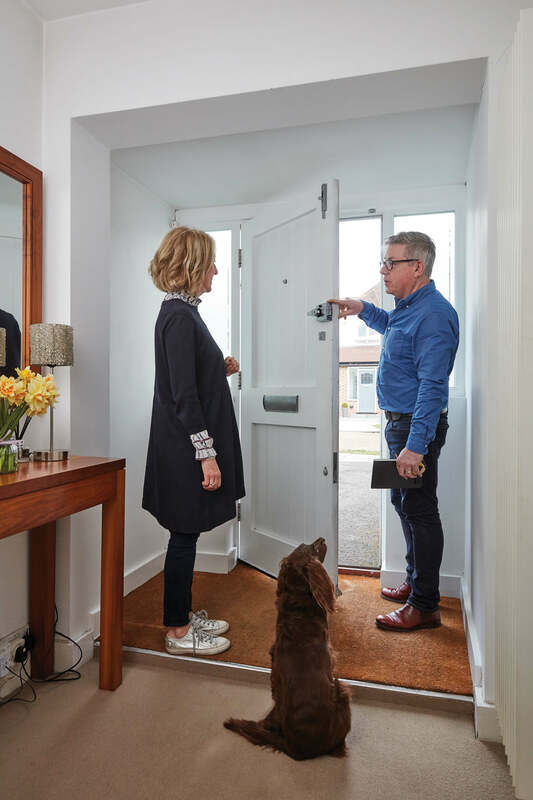 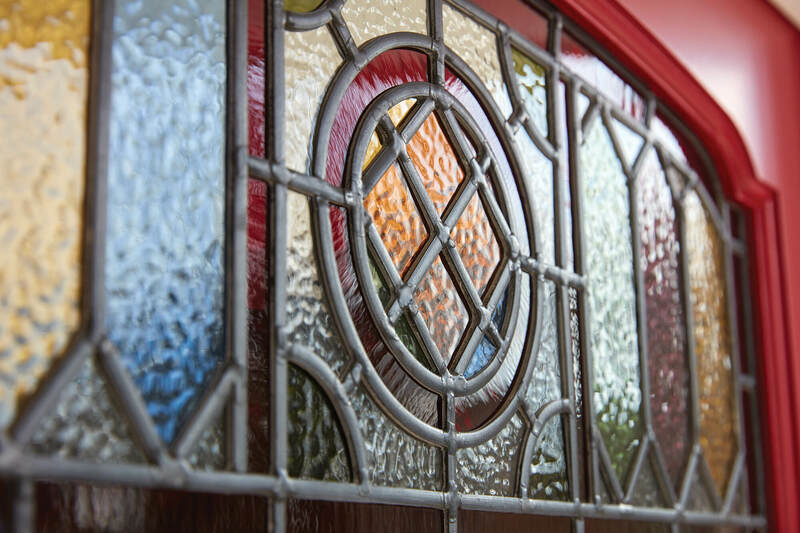 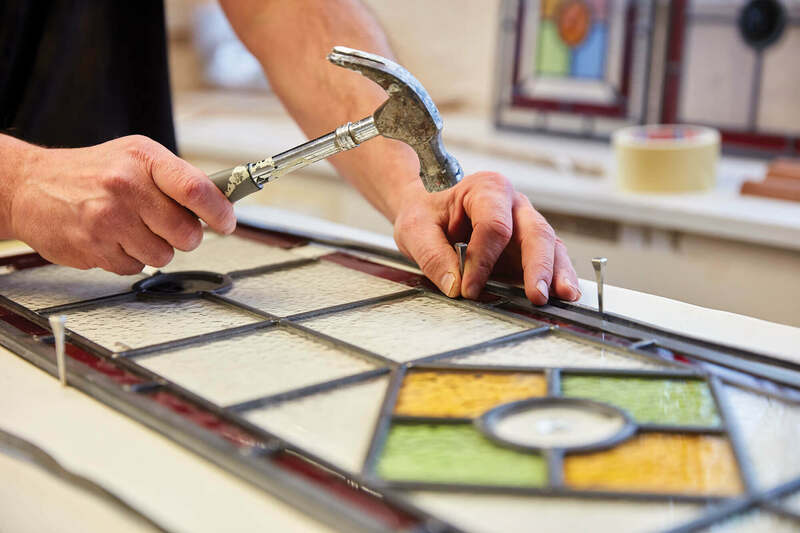 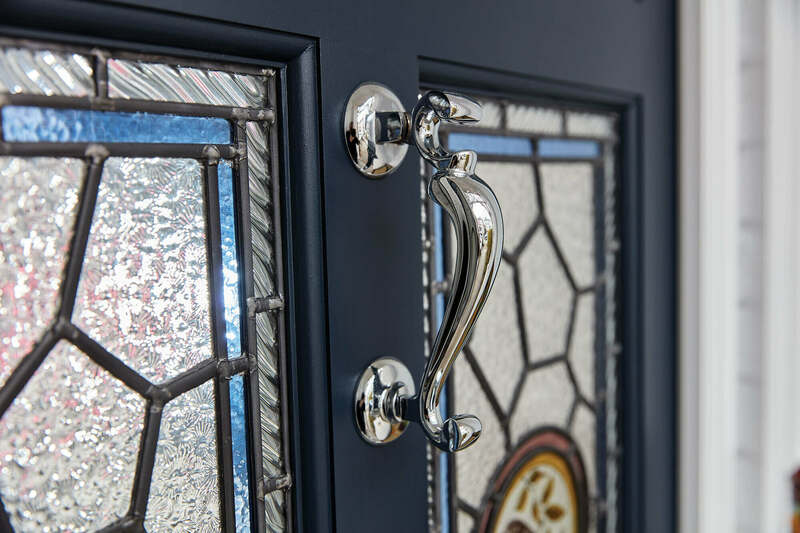 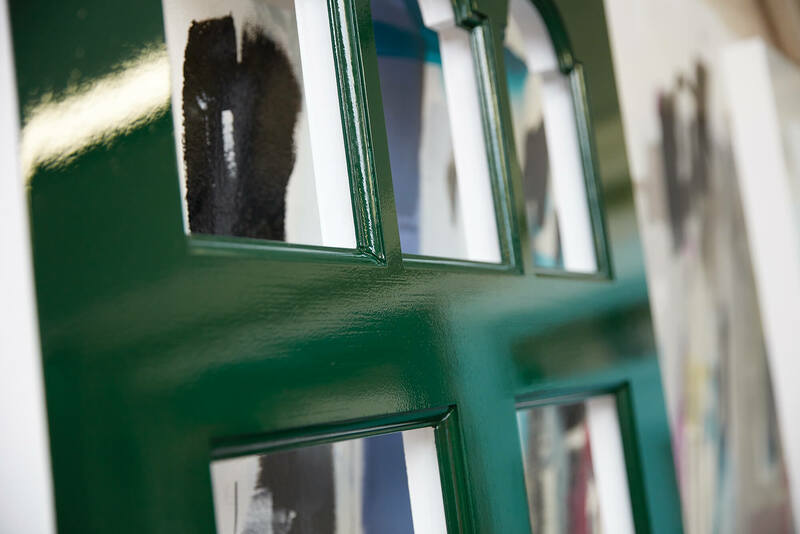 Modern door furniture and an opaque glazed fanlight make a positive first impression. 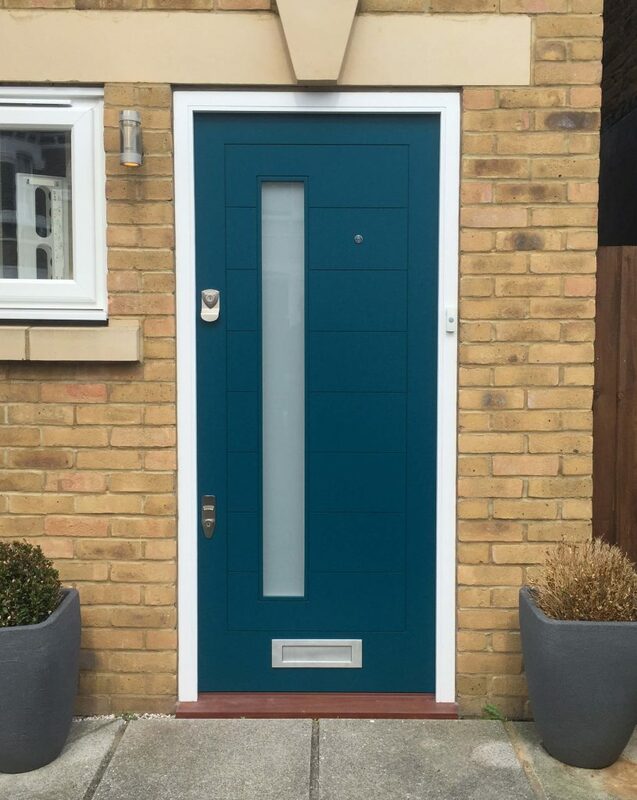 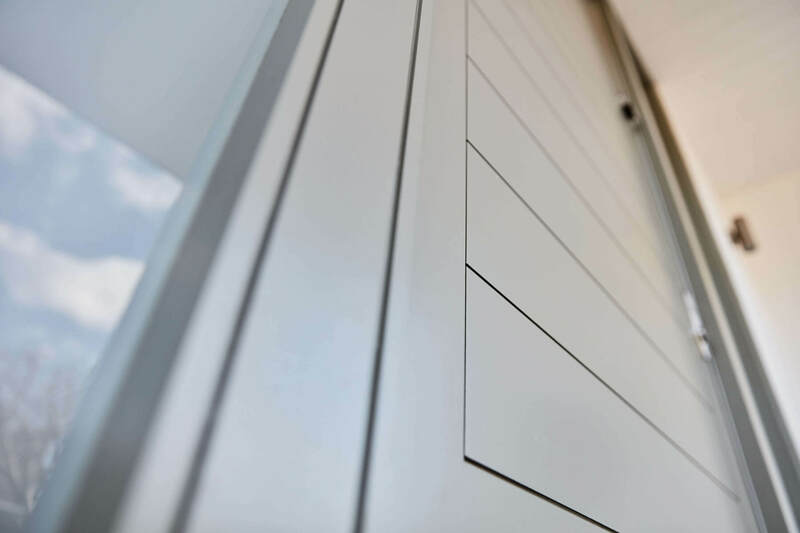 Beautifully made and elegantly finished Contemporary door with opaque glazing feature and chrome door furniture. 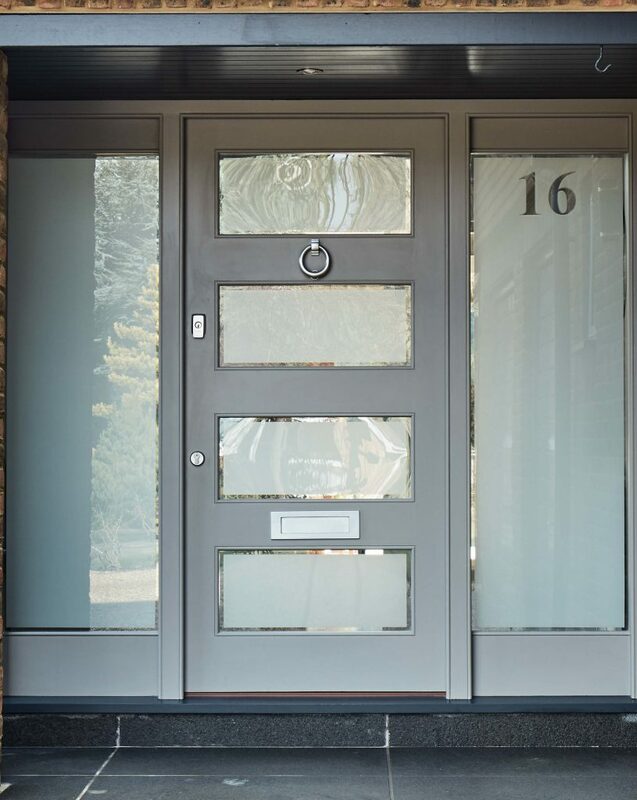 Contemporary door with multiple glazed panels and full-length sidelights. 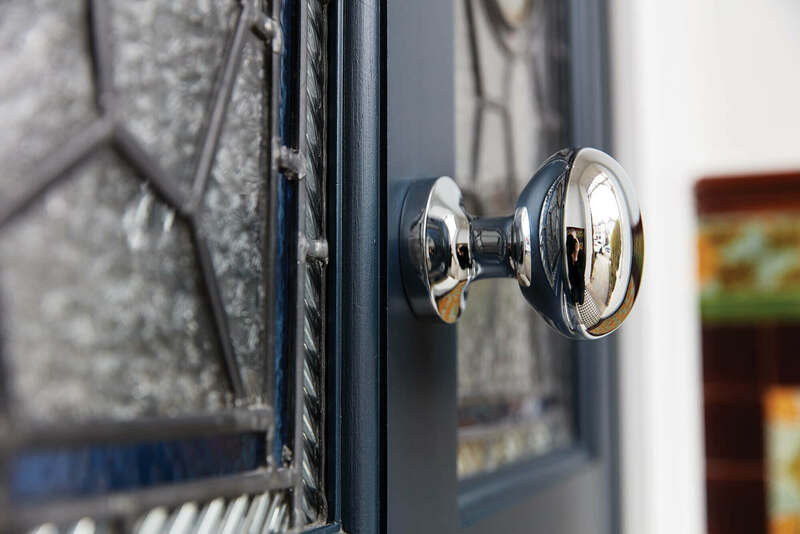 Finished with polished chrome door furniture.